Everyone knows that it’s a citizen’s duty to smile; negative emotion is a social contagion, an aggressive act against society. For Alaire Larkin, staying positive has never been a problem. Born into a prominent family, Alaire is a star student and a member of her school’s Joyful Court. Her future promises only happiness and a lifetime of service to the State, until the day she uncovers a secret world of emotions she never knew existed. Alaire knows she must forget what she has learned or run the risk of internal exile. It should be easy. All she has to do is smile. What inspired you to write Among The Joyful? I happened to see an article about smile surgery, which is a real thing. Some young women in South Korea have a procedure done so that their default facial expression is a smile, no matter what they’re feeling. It made me think about the pressure we all feel at times to act like things are fine when they’re not, to present a happy appearance to the world no matter what’s going on inside. That was what prompted the idea for the world of Among the Joyful, where negative emotion has to be hidden if you want to be a functioning member of society. 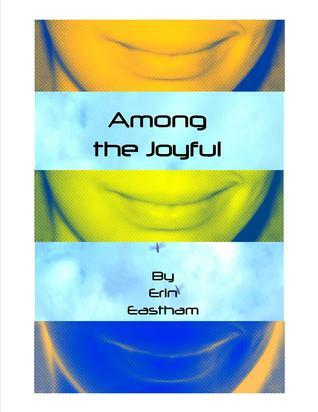 What were your three favorite things about writing Among The Joyful? I wanted to create a society that truly intended to be a utopia and show the cracks and fault lines in that perfect façade. That was so much fun. Writing this book was also a great experience because I was completely obsessed with Alaire and her world, even when I wasn’t sitting at the keyboard. I thought about it all the time and it was exciting to be so immersed in a fictional universe. Finally, I really enjoyed the input I got from my teenage beta readers—they gave me such great feedback and definitely improved the story. I’d say ending it was the hardest. Partly because working on it was such an enjoyable process, and partly because endings are really difficult, at least for me. If Among The Joyful had a theme song what would it be? The last book I read and loved was A Questionable Shape by Bennett Sims. It’s the most philosophical book about zombies ever. Erin Eastham has spent most of the last decade in Asia and currently lives in India with her husband, four kids and two cats. She is the author ofAmong the Joyful, a YA novel about a society where happiness is mandatory, and The Waking World, an end-of-the-world novel about people with powers. This book sounds fantastic. Dystopian young adult is my absolute favorite genre. I loved 1984 but books about young women are far more relatable for me. 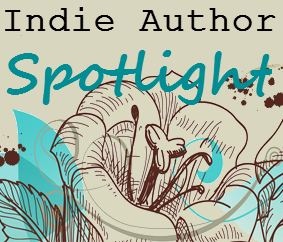 Is Indie Author Spotlight something you do on a regular basis or something that you organize? I'd love to spotlight indie authors on my blog.